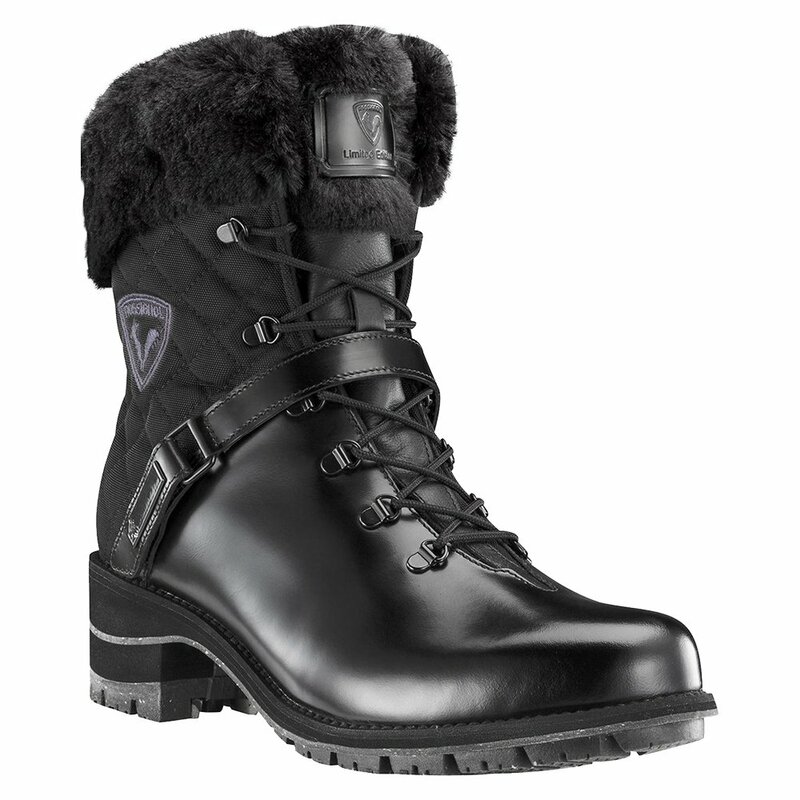 Whether you're navigating wet, slushy terrain at the mountain or simply shoveling last night's snow from the driveway, count on the waterproof Rossignol 1907 Megeve Boots to keep you warm, dry and comfortable in winter's worst weather. Lightweight, non-bulky insulation keeps feet warm. A waterproof and breathable interior membrane with waterproofed zippers keeps moisture from wet weather out of your boots while also promoting air-circulation so your feet don't get steamy and cold. Rossignol packed all these technical features into the Megeve's classic-looking style proving that you can look great and stay warm and comfortable at the same time. "Does it come true to size? Im a regular 7.5"
"Yes, these are pretty true to size." "Are these sizes the us sizes? What is he conversion to eu and uk sizing for a 7? Thankyou "
"For the US size 7, the UK is a 5 and EU is 38. I hope this information helps!" "What would be the equivalent size to buy for a uk4.5 or eu 37.5"
"The US size that you will need is the 6.5. I hope this information helps!" These boots are extremely comfortable and well made. Love the red trim and laces.